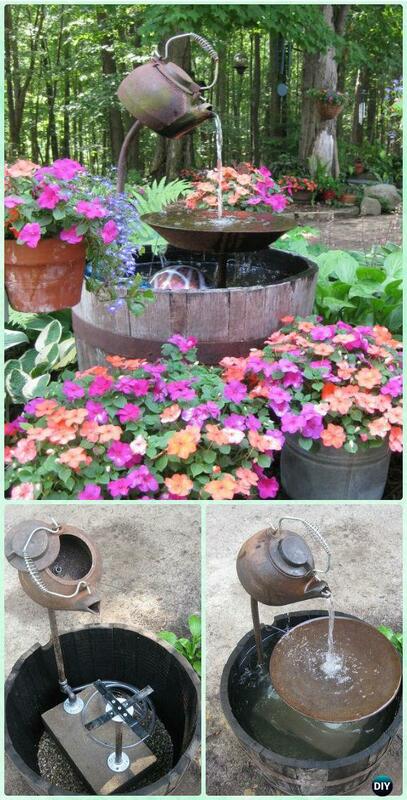 A List of DIY Garden Fountain Landscaping Ideas with Instructions. 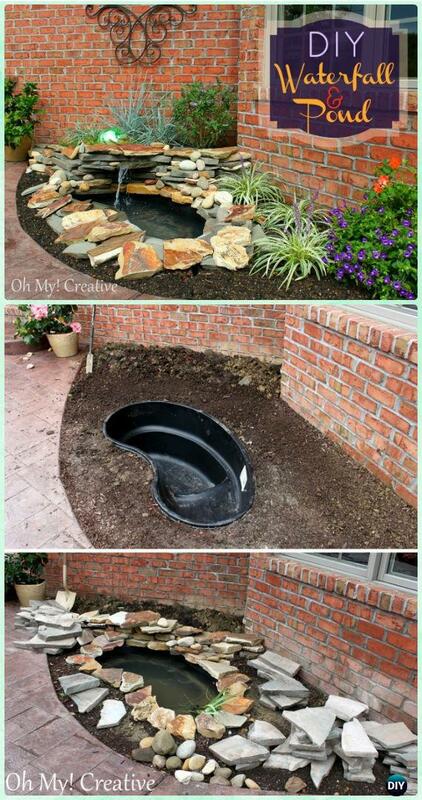 Water feature provides vitality, its soothing sound of flowing water has been a feature for garden landscaping ever since the ancient times. 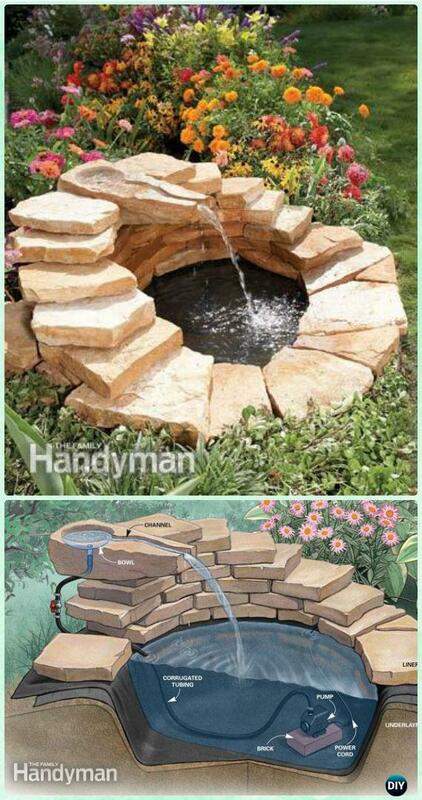 Our Garden Channel today is going to share this feasible DIY list of fountains that you can follow and construct by yourself, enjoying the relaxing white sounds of running water after escaping from the bustling city. 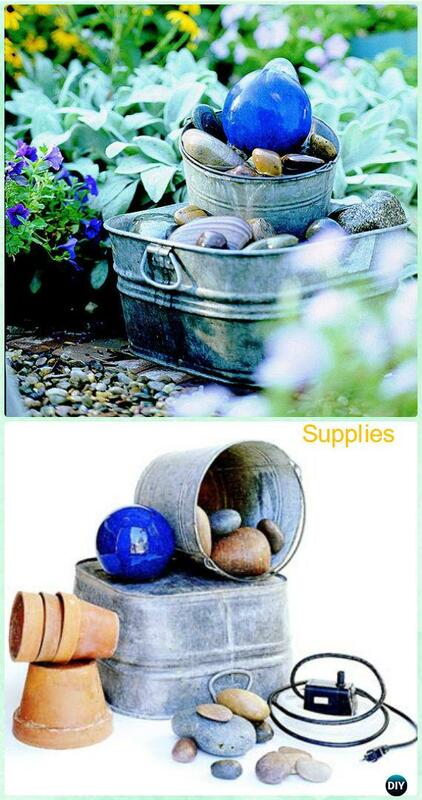 We don’t even have to spend too much money to build these water beauties, but get the recycled teapots or cans, low-cost flower pots, rocks for stores near our community, scroll down and see which one can be a new addition to your more inviting garden.